Imagine sipping on a craft beer while listening to a live band on a patio on a warm summer night, just blocks away from the beach. Outlaw Brewing Company in Southampton is just the place to do this! Outlaw Brewing Company is a newly opened brewery and restaurant located on the main street in Southampton, in the old Southampton hotel. This country inspired BrewPub offers a premium selection of handcrafted beers, brewed right in-house. The funky menu items pair well with the country-inspired brand blends. The country ambience along with in-house brewed beer is sure to make for a memorable experience! Yeehaw! If you are looking for artesian wines and craft ciders, Hoity Toity Cellers is the place to go. Located between Walkerton and Mildmay, this winery and cidery is a destination unto its self. Outside you will see sprawling fields of Bruce County cold climate grapes, with herds of sheep working hard at removing the lower grape leaves. Looking out at the spring fed pond you will see two geese, Hoity and Toity, swimming around enjoying the landscape. Head down into the underground wine cellar to sample and purchase one of their many different selections of artisanal wines and craft ciders. The wines are made with their home grown grapes, and the award-winning ciders are made with local apples, pears and grapes. Each different selection of wine and cider has an entertaining name to go along with it, you’ll have a laugh reading the bottles! The staff at Hoity Toity cellars are passionate about wine making and cider making. They will take you on a tour of the farm and the cellar, and tell you historic tales about their craft. Pop in for a visit to experience this unique atmosphere! The Tobermory Brewing Company is a must visit destination on your trip to the peninsula. In-house brewed beers paired with fine dining, all while looking over the harbor, makes this brew-pub a one of a kind dining experience. The beer crafted at this brewing company is always brewed using the finest of ingredients in small batches, without additives or preservatives. With four in-house brews, plus seasonal rotating brews, you’re sure to find one you love. Each different brew features interesting flavors and ingredients that will excite your palate. Try a beer on tap with your dinner at the restaurant, or purchase a “Growler” from the brew store to take home. Plan to visit the Tobermory Brewing Company on your next trip up the peninsula for a local brew you won’t forget. 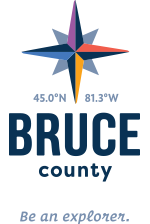 For information on things to do in Bruce County, visit here.